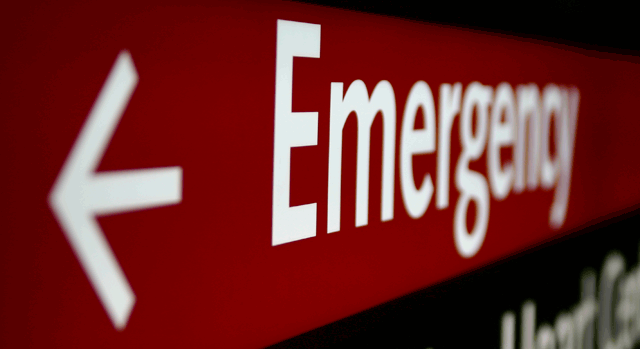 The Emergency Department at Temecula Valley Hospital is open 24 hours a day, seven days per week to provide area residents with the emergency and urgent medical care they need, when they need it. A team of emergency medicine physicians, registered nurses and specially trained staff work in cooperation with other in-house specialists to provide high-quality treatment as quickly as possible. Temecula Valley Hospital is a designated Stroke and STEMI Receiving Center for Riverside County and San Diego County. The more quickly a heart attack patient receives artery-clearing intervention, the better their chance of survival and recovery. At Temecula Valley Hospital, the emergency staff coordinates heart attack intervention services with with cardiologists, radiologists and cardiothoracic surgeons. Time is critical for anyone experiencing the symptoms of a heart attack, and seeking immediate treatment can make a significant difference in the quality of a patient's life after recovery. Waiting too long before going to the emergency department may increase the amount of heart damage. Chest discomfort. Most heart attacks involve discomfort in the center of the chest that lasts for more than a few minutes, or goes away and comes back. The discomfort can feel like pressure, squeezing, fullness or pain. Discomfort in other areas of the upper body, including pain or discomfort in one or both arms, the back, neck, jaw, or stomach. Shortness of breath that occurs with or before chest discomfort. Other symptoms may include breaking out in a cold sweat, nausea, unusual fatigue or light-headedness. Treatments are usually most effective when they occur in the early stages of chest pain. Depending on the type and severity of the heart attack, the cardiac team may take patients from the Emergency Department directly to a cath lab to administer treatments to clear blocked arteries and restore blood and oxygen flow to damaged heart tissue. A cardiac team and fully equipped cardiac catheterization suite is available 24 hours a day. Stroke is the third leading cause of death in the US, following heart disease and cancer, and is the leading source of long-term disability in the nation. Temecula Valley Hospital was designated as a Stroke Ready Center by the Riverside Emergency Medical Services Agency and San Diego County Emergency Medical Services. The designation recognizes the hospital as stroke capable and identifies Temecula Valley Hospital as a facility that is equipped with the necessary resources to manage stroke patients. If you have a stroke, your chances of survival improve the more quickly your stroke stroke is identified and treated. If you or someone around you is showing the signs of stroke, do not wait. Call 9-1-1- immediately. You can help identify the signs of stroke by using the acronym F.A.S.T. Seeking immediate medical treatment can make a significant difference in the quality of life after recovery, and could save a life. Temecula Valley Hospital is here to provide treatment for the unpredictable injuries and illnesses that can affect everyone. Whenever an accident happens, do your best to stay calm. The first thing you will need to do is make a quick and accurate decision on whether to seek emergency care. If you are not sure, it is always best to call 9-1-1 and speak to a professional.